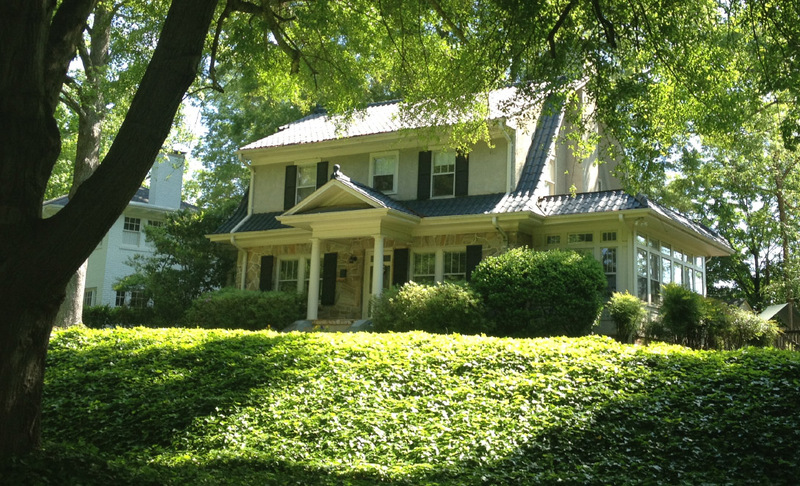 1 1⁄2-story Dutch Colonial Revival-style house with random fieldstone walls and a terra cotta tiled gambrel roof. Other features are an exterior end chimney, a 1-bay pedimented entrance porch with columns, 3-over-1 sash windows set singly and in pairs, and a front shed dormer with stuccoed finish. The flanking 1-story wings are flat-roofed sunrooms with pent tile roofs. William A. Blount, superintendent at Liggett & Myers Tobacco Co., was the occupant in 1930.